Filipino food is delicious. Unfortunately, it hasn’t had its time in the spotlight, unlike its regional neighbors like Thailand and Vietnam. That’s why an advocacy program like the Sooo Pinoy project is a good idea. It helps shine the limelight on our local cuisine. It’s a project I’d love to be a part of, so here are my top 5 reasons why. While I’m far from being a chef, I know how to cook and I love learning about food. This helps greatly when it comes to food blogging. I am able to inject interesting insights, knowledgeable observations, and silly jokes. We’re Pinoys. We love three things: food, talking about food, and laughing. A killer combo, don’t you agree? Sinigang na Corned Beef. 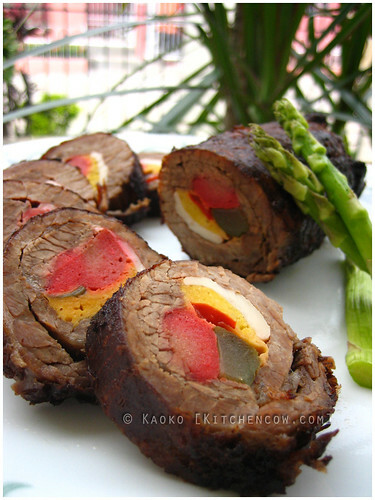 An interesting take on a classic Pinoy dish. Locusts? Wood worms? Snails? Bring it on. I’m ready to eat. Something from our own kitchen. I am ready to travel to parts unknown in the pursuit of food. Traveling is a great way to educate yourself. And in my case, I like learning about food. Whenever I take a trip, I make it a point to focus on local cuisine. While some people collect photos of themselves against tourist landmarks, I take photos of the food I’ve eaten. And now, I’m more than ready to sink my teeth into a 30-day food trip, chronicle it, and show the world how varied, how multi-faceted and how simply delicious Filipino cuisine is. 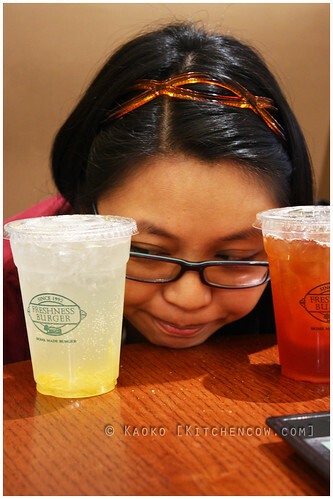 Weird writer with weird softdrinks in Hong Kong. Appropriate. I have a camera and I’m not afraid to use it! 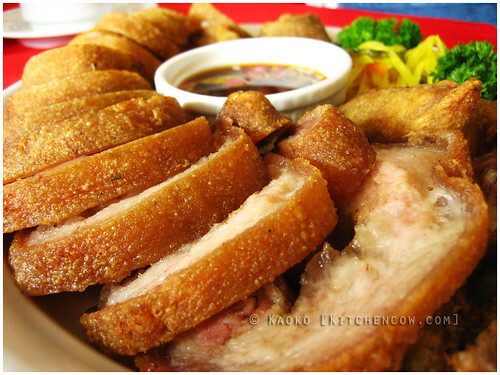 Good storytelling is the best way to share a meal, but good, clear pictures is the suka and toyo on your crispy pata. I can describe the crisp skin, the buttery fat, and the flavorful and tender flesh, but the appetizing photo sets the stage for the words. Some things you just have to see. I have a good, regular following. Finally, I should be the Sooo Pinoy Ultimate Food Blogger because I have supportive readers—my mother, my husband and my poodle, Cooper! Kidding aside, while Kitchen Cow doesn’t have the world’s largest readership, I’m proud of my intelligent, loyal readers. Nowhere else in the blogosphere can you find a more pleasant bunch, and their support powers Kitchen Cow into being the best blog it can be. There you have it. My top five reasons. Am I in? I do hope you get it, Kaoko! 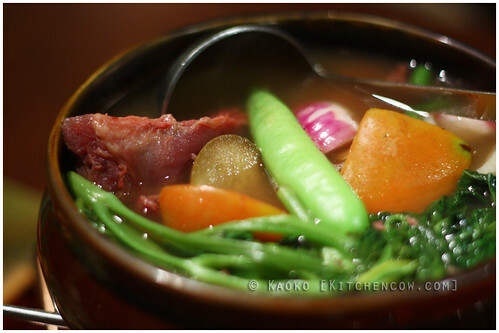 Kitchen Cow is a smartly-written and fun-to-read food blog that ALWAYS features Pinoy food! —- Me, too! Whenever I’m going on a trip, the first thing I research about is what local cuisine I MUST try at my destination. And I prefer to share all of those instead of the landmarks! Hehehe. If you ask me, you deserve to be the Sooo Pinoy Ultimate Food Blogger! Meep! This is so embarrassing, but thank you for the show of support, everyone! Its warms my heart to have your trust. Just crossing my fingers and wishing for the best. I’ll just crawl and go hide under a rock while the contest people make their choices. Good luck, I hope you win! I love your blog and your bentos, hihi! Thanks for the show of support, Elaine! Unfortunately, the results aren’t out yet, but I’m still crossing my fingers! Great post. You’ve got vivid food photos. Keep it up promoting Filipino foods to the world. Thanks Archie! Glad you approve.